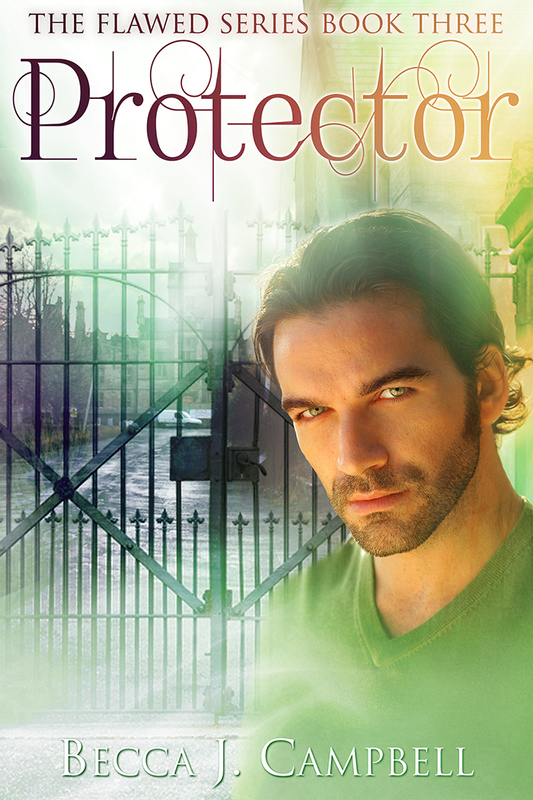 After much ado and even MORE technology fail, I have finally released Protector (Flawed #3) into the wild! That’s right, it’s now officially for sale at Amazon, iTunes, Barnes & Noble, Kobo, and elsewhere. Protecting the woman he loves just got more difficult than ever. On the tail end of two abductions, Logan has Jade back safe. But her desire for intimacy batters him with an onslaught of passions. The unfamiliar lack of control terrifies cool-headed Logan, especially when it channels his super-strength into a fit of destructive rage. Deadlier than ever, Ethan and Nicodemus close in on the woman who fled Ethan’s clutches ten years ago. With the aid of their extraordinary abilities, Ethan will finally capture the one that got away. And with Nicodemus’s help, he will destroy everyone who gets in their path. All Logan wants is to keep Jade as far as possible from the two killers and to keep his mind clear. But when Jade discovers who the next target is, she will do anything to warn this next victim, even risking her own life. Logan must get his emotions under control and stop the two killers, or he will lose the woman he loves forever. Download the third installment of this urban fantasy series now. I’m currently running an early bird special: Protector (Flawed #3) is $2.99 from now until the end of the month. Monday the price will increase to $4.99, so grab it now to save a few bucks. I’ve been pleasantly surprised at the reviews pouring in, especially the ones requesting…begging…for more of one new, secondary character in this story. I didn’t expect this, but it came as a nice surprise. 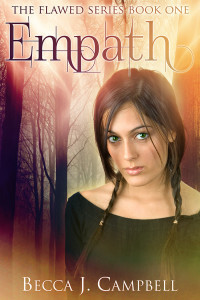 If you’re new to the Flawed series, make sure you pick up Empath (Flawed #1) first! This entry was posted in Books, My Works, Writing and tagged Amazon, amreading, Book three, books, ebook, empath, Flawed series, Jade Edwards, Kindle, Logan Henry, NA, New Adult, paranormal, Protector, reading, sale, superheroes, supernatural abilities, suspense, thriller, urban fantasy, YA, young adult. Bookmark the permalink.